The District also provides for mowing, trash and bandit signs removal in the public right-of-way. Typically over 100 bandit signs are removed each month. 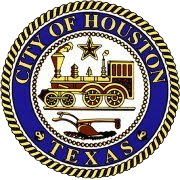 We actively work with the City to report incidents of graffiti and illegal signs and you can help us by reporting violations using the report an issue form or call District staff at 281.564.5252 or by reporting to 3-1-1.For more information on the program, contact the District Director of Services. 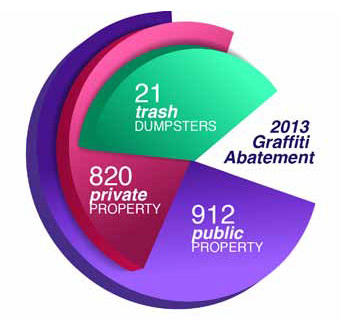 In 2013 a total of 1,753 occurrences of graffiti were removed. Thanks to all of our community partners who actively assist us in reporting incidents. We encourage all residents and businesses to join the in the effort to help us eradicate graffiti from the District by reporting to 3-1-1 or going on-line to www. IMDHouston.org and reporting incidences via the “Report an Issue” button on the home page. We are also working closely with our graffiti abatement contractor, S.E.A.L. Security, and HPD to identify and prosecute the individuals responsible for graffiti in our District.